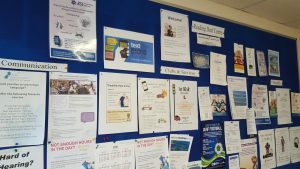 If you live or work in the Reading or Wokingham area, the Information Office at Reading Deaf Centre is here to help you! The Information office can help you access support and advice on the following: Form-filling, phone calls, understanding complex written English, advocacy services and more. Please book an appointment to ensure our availability – you can book an appointment here. If your query is just a quick question or you’re not sure if you need an appointment, just contact Diane Donohue at info@readingdeafcentre.co.uk tel: 0118 9500507 Mobile/text 07754361592 and I will be happy to answer any questions you might have!